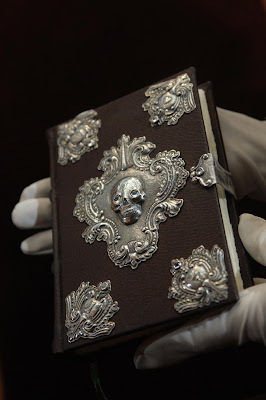 Amazon, the retailer for everything, the cyberdepartment store bought the copy of JK Rowling's The Tales of Beedle the Bard at auction for 1,950,000 pounds that is going to charity. Amazon has set up a page on their site so you can see the book and begin to hear about the stories that Ms. Rowling has hand scribed and illustrated. There are reviews of two of the five tales...so pour yourself a cup of tea and dig in.